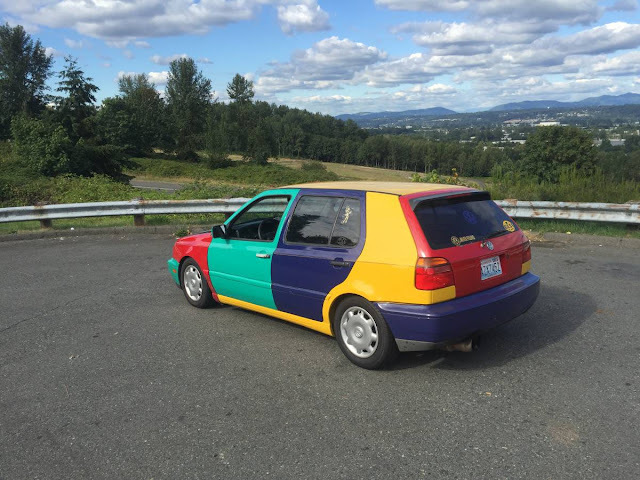 This thing is probably based on a production kit instead of a one-off custom, but I couldn't figure it out with a 30 second interwebs search -- so you guys can figure it out for me. Whatever it is -- I like it! Hanging behind the rear wheels is some Volkswagen flat-4 that has been hopped up beyond its factory horsepower with a number of bolt-on parts. 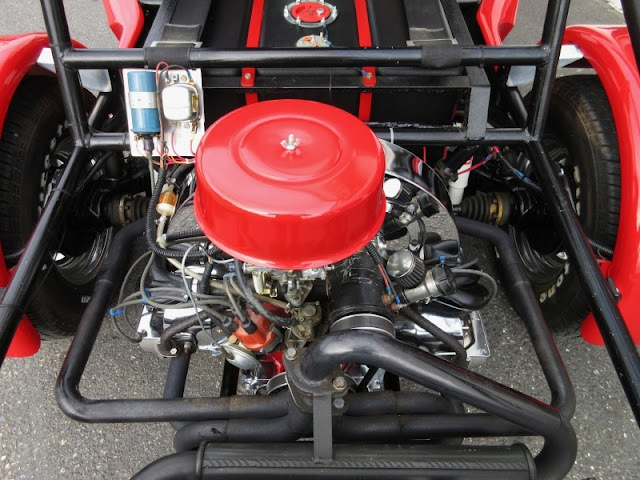 It appears that this kit uses a custom tube chassis instead of the Volkswagen pan for a backbone, so it should be stiffer and lighter than the average buggy. I see lights, and fenders, and signals, and bumpers, and double-jointed rear axles, and a whole lot of FUN! Looks very nicely built, and the money is not stupid. Be the only one on your block, kids! Fun at the Beach ! 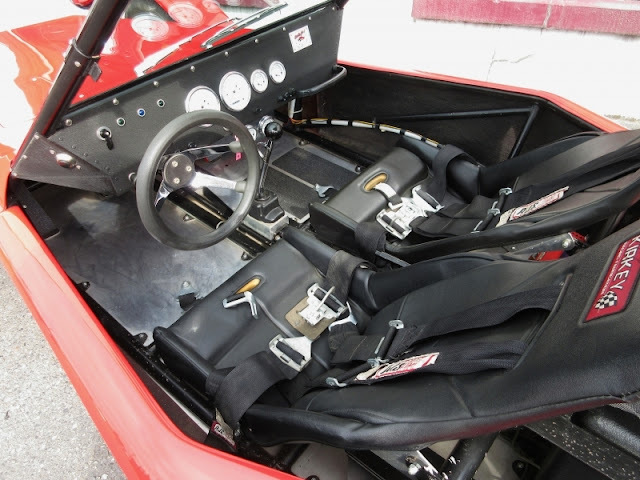 The high windshield and roll cage* take away from the beautiful lines of a Lotus 7. But, they probably make it a LOT more drivable (less bugs in your teeth), and a bit safer, for roll overs. Hard to decide on this one. But the price is right, and the build looks to be pretty nice. Still, you'd want to tear the whole thing down and rebuild, just to make sure it wouldn't go flying into 23 different directions on a bad bounce. *can we call it a roll cage? it's so tiny! 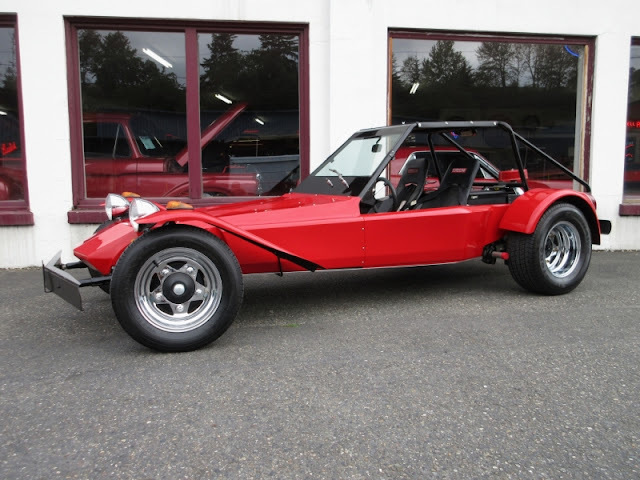 I don't usually like Beetle-based kit cars, but I love Lotus 7's so I find this really appealing. I'm glad it isn't near me or I'd have to go check it out.